The Labor Day holiday marks the end of the summer season, for both moviegoers and many students alike, but it also brings the beginning of the new fall TV season. After a critically-acclaimed Season 1, Fox's The Last Man on Earth returns for Season 2. Today, Fox, courtesy of Screen Crush, has revealed the first trailers and photos from the new season of The Last Man on Earth, which shows Phil Miller (Will Forte) and Carol Pilbasian (Kristen Schaal) setting up shop in the White House. In the Season Two premiere, airing Sunday, September 27 (9:30-10:00 PM ET/PT) on Fox, Phil Miller, Carol Pilbasian and their legion of loyal sports balls strike out on their own after Phil was banned from Tucson by the rest of the group. The comedy series recently was nominated for four 2015 Emmy Awards. The show is up for Outstanding Lead Actor in a Comedy Series (Will Forte), Outstanding Writing for a Comedy Series (Will Forte) and Outstanding Directing for a Comedy Series (Phil Lord and Chris Miller each received a nomination). These trailers set up an interesting story for The Last Man on Earth throughout this season, with Phil and Carol now thousands of miles away from the rest of the group in Tuscon, Melissa (January Jones), Todd (Mel Rodriguez), Gail (Mary Steenburgen), Erica (Cleopatra Coleman) and Phil Miller #2 (Boris Kodjoe). It isn't known how long Phil and Carol will be away from Tuscon, or if the story will follow their adventures on the road, and the group back in Tuscon simultaneously. No new characters have been announced yet, but one familiar face who was briefly seen in the first season will be back. In the season finale that aired back in May, we got a brief glimpse at Phil's brother, played by Jason Sudeikis. Fox confirmed last month that Jason Sudeikis will be back to reprise his role at some point during The Last Man on Earth's second season. Phil's brother is an astronaut, who was seen hovering in a space shuttle millions of miles above the Earth, who has been stuck in space after a mysterious virus wipes out most of the Earth's population. 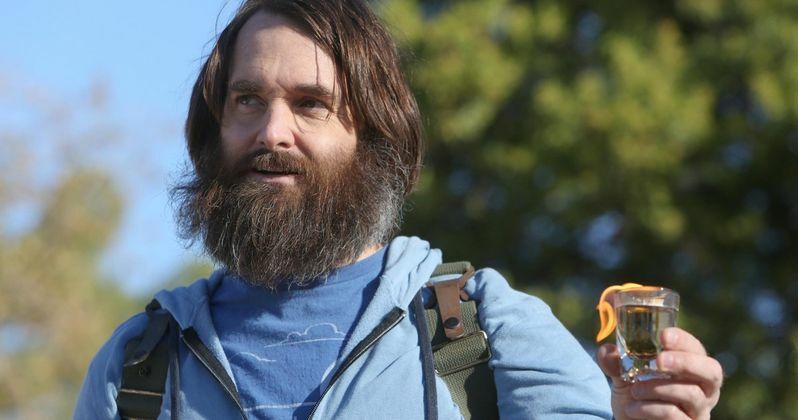 Series star Will Forte created The Last Man on Earth, and serves as an executive producer alongside Phil Lord, Chris Miller, Seth Cohen and Dan Sterling. The second season will be anywhere between 13 and 22 episodes, with Fox planning on splitting the season into two halves, one debuting in the fall and the other in midseason. While we wait for more details on this show's new season, check out the trailers and photos from The Last Man on Earth.